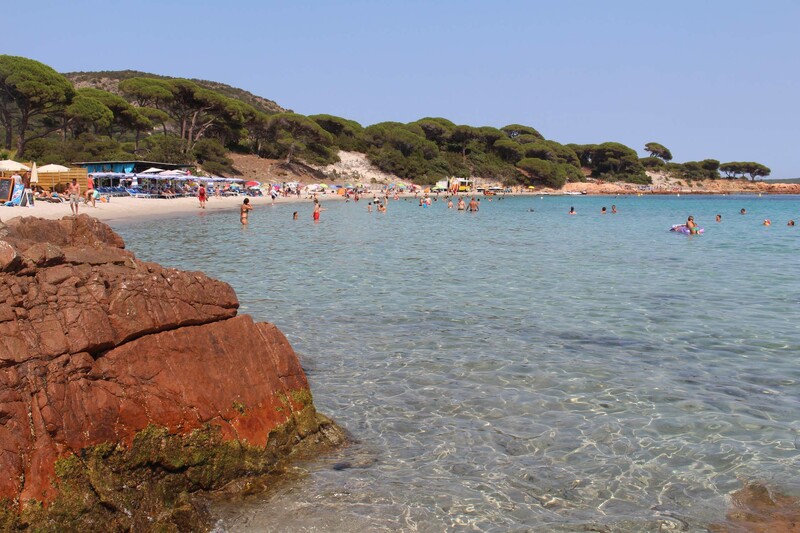 Palombaggia beach near Porto-Vecchio. We find several areas separated by rocks. The bathing is sloping gently.